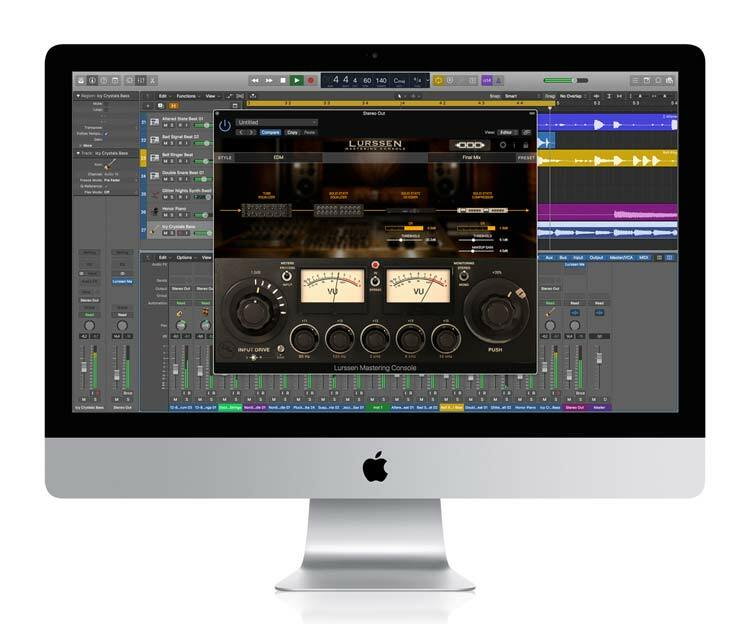 Lurssen Mastering Console is a groundbreaking new mastering tool for either iPhone, iPad or Mac/PC that puts a lifetime’s worth of professional mastering experience at your fingertips. Created in collaboration with Mastering Engineers Gavin Lurssen and Reuben Cohen of Multi Grammy Award winning facility Lurssen Mastering, Inc. in Los Angeles, it puts you at the controls in the studio with all of the secret tools, settings and techniques that have made the Lurssen sound so sought after by the world’s top-tier recording artists and producers. Lurssen Mastering Console is a totally new approach to digital audio mastering. It provides a complete emulation of the entire mastering processing chain used by world-renowned mastering engineers Gavin Lurssen and Reuben Cohen and their team. This chain includes tube equalizers, solid state equalizers, limiters, de-essers and solid state compressors. The simulation of this chain reflects their “whole chain philosophy”. Lurssen Mastering Console models and recreates the interactions between the individual processors in its chain down to the actual gear hookup schematics themselves. This approach effectively gives you access to decades worth of knowledge in the form of workflow secrets, special techniques, signal chains and technical know-how. 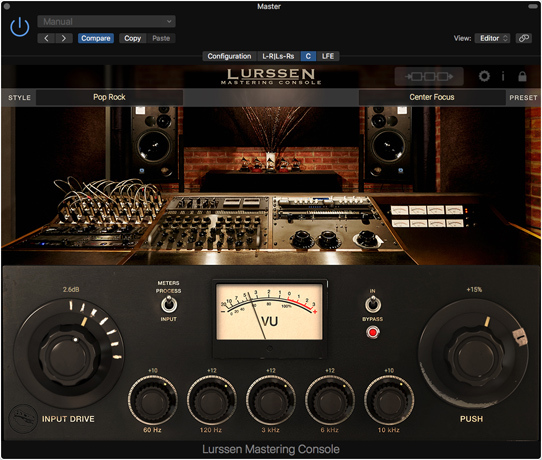 No matter whether you use iPhone, iPad or a Mac or PC, there's a Lurssen Mastering Console for you. It is available in two different versions depending on your needs. It's available as a universal iPhone/iPad app — just the thing for when you want to master on the go or demo your material on a wide variety of sound sources while mastering. This app is available as a free download that operates in demo mode, and features two full-functionality unlock modes: Play/Process and HD Engine. When you master, you want your audio productions to sound good when played on a wide variety of different speakers and setups from car radios to home hi-fis, iPods to club sound systems and more. Lurssen Mastering Console helps you achieve consistently great sounding results because it lets you demo your projects on a wide variety of soundsystems thanks to its iPhone/iPad version. Now you can take your projects with you anywhere so you can hear exactly how they perform in the wild. It’s easy to get great results with Lurssen Mastering Console. It comes with 40 unique mastering templates, called “Styles,” that custom tailor its mastering processing chain for hip-hop, hard rock, heavy metal, country, Americana and more. These templates eliminate all the hard work of the mastering process; Gavin and his team have set everything up for you from the signal flow to the individual settings of each processor. All you have to do is load a track, choose a template and you’ll be ready to start mastering. Or, in other words, Lurssen Mastering Console can help you achieve amazingly professional results even when a trip to Lurssen Mastering in Los Angeles just isn’t in the budget. Once you’ve selected a template, Lurssen Mastering Console presents you with three easy to use controls that let you adjust the master to your taste. Just like in Gavin’s studio, you can adjust a linked Input Drive, adjust a five band EQ and also use a special “PUSH” knob. The PUSH knob is particularly important because it lets you subtly and uniformly nudge the EQs so you can “ride” the flow of the song and highlight parts, adding that special Lurssen magic to your masters. You also get two VU meters, a master bypass switch (quite handy for hearing your work versus the original file) and a STEREO/MONO monitoring switch. You can record the real-time adjustments to the two master knobs via the automation feature so you can really dig into the nitty gritty of your master and record your work for later. Lurssen Mastering Console lets you see your audio thanks to this handy waveform display. You can loop audio here, view and edit automation data and move freely through your chosen song. The Lurssen Mastering Console plugin can be inserted in mono, stereo, multi-channel tracks and buses in any compatible DAW, for ultimate flexibility and usability as both mastering and mixing tool. The mono operation not only allows you to use the plugin on simple mono tracks (such as vocals, bass, guitars etc.) in regular mixing sessions, or stereo buses for stem mixing or mastering duties, but it can also be used on 5.1 surround or even greater projects, depending on the selected DAW. The parameters, presets and Styles will remain consistent across all instances on a multichannel bus when settings are linked. This will allow more precision and coherency over surround operation. 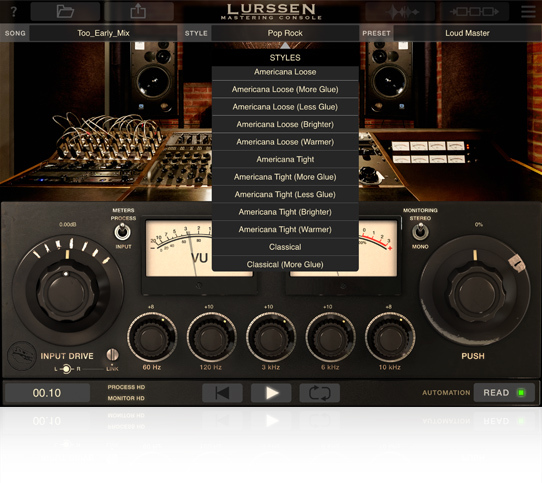 Projects in Lurssen Mastering Console for Mac and PC are compatible with Lurssen Mastering for iPhone/iPad. That means that if you have both applications, you can transfer your projects and use the iPhone/iPad version to hear how your work sounds on a variety of different output devices (you can also use the iPhone/iPad version to finish projects and vice versa). If you are mastering your music for digital distribution and streaming services like iTunes®, Pandora® and Spotify®, Lurssen Mastering Console can ensure your music gets heard. Lurssen Mastering Console has a new Digital Delivery Mastering feature that provides you with mastered audio files that comply with Apple’s “Mastered for iTunes” specifications for sample rate, bit depth and peak levels, ensuring that your audio translates perfectly for compressed formats like AAC. Digital distribution and streaming services have become the current de-facto standard of music delivery to consumers, and engineers have started to put more care into the production of the final master to ensure that the quality of the audio, when compressed to AAC or other formats, is as close as possible to the original source file. For this reason Apple has developed a set of best practices and tools that should be used for compliance to what has been labeled as “Mastered for iTunes®”. Technically, files have to comply with high-resolution sample rate and bit depth requirements, but the most important aspect is peak level. As the tendency in contemporary digital music production is to go for super loud masters, distortion is created as a by-product of extreme use of digital peak limiters pushing up the level. Even though the file’s maximum peak level is not exceeding 0.0 dBFS, digital overshoots will still occur when the file is de-compressed back to PCM format for playback. Apple’s Mastered for iTunes® criteria states that no clipping at or over 0.0dBFS should be present in the digital master to be submitted. When checked with Apple’s tools specifically made for this purpose, masters with digital overs may be rejected. This is where the new Digital Delivery Mastering option for Lurssen Mastering Console comes in. It offers an additional layer of protection against peak overshoots that could be generated by the AAC compression and decompression process. This can cause clips that may go unnoticed while mixing and mastering with regular sample peak meters. This is achieved by the peak limiter at the end of the mastering chain working in a specific way. This guarantees that the compressed file is safe from distortion when played back from digital distribution services such as Apple’s iTunes®, Spotify and Pandora. The Digital Delivery Mastering option is part of the HD Engine in-app purchase, and can be enabled independently from the HD Engine in the settings menu. It is also included in the free update for Mac/PC users. Note: Please be aware that under certain extreme circumstances such as an unbalanced high frequency content of the audio file or an overly loud and distorted master due to an improper use of the application’s gain staging could make for digital overshoots that may not be avoided by the DDM algorithm. 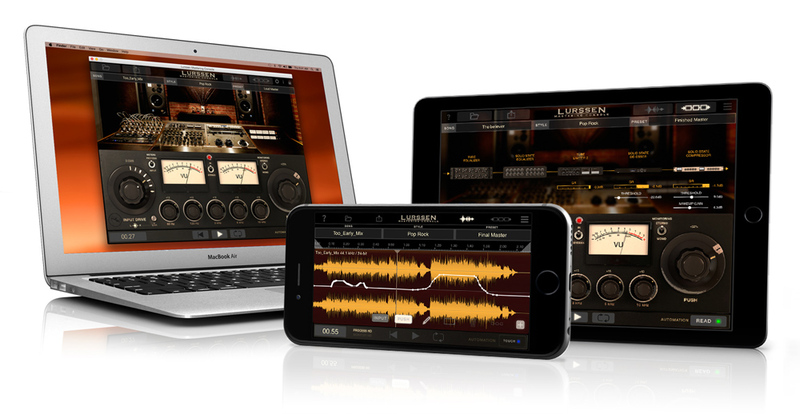 Lurssen Mastering Console for iPhone and iPad is free to try. That means you can experience its amazing ease of use and phenomenal sound today for no cost whatsoever. A random noise will interrupt playback in the demo version. 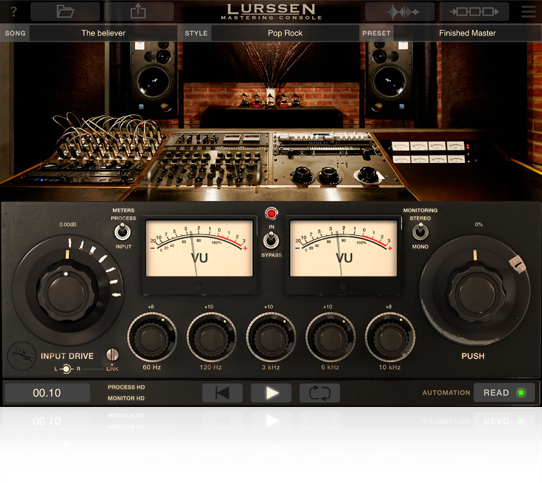 Lurssen Mastering Console for iPhone/iPad features two in-app purchases that unlock the full functionality: Play/Process and HD Engine. Play/Process enables unrestricted playback, monitoring and processing, 48kHz maximum sample rate of the DSP processing and export of compressed formats such as AAC & OGG. HD Engine allows unrestricted playback, processing and monitoring at 88.2/96kHz sample rates for DSP and export, selectable dithering and export of uncompressed formats such as WAV & FLAC. Created in collaboration with mastering engineers Gavin Lurssen, Reuben Cohen and the team at multi-Grammy award-winning Lurssen Mastering, Inc.